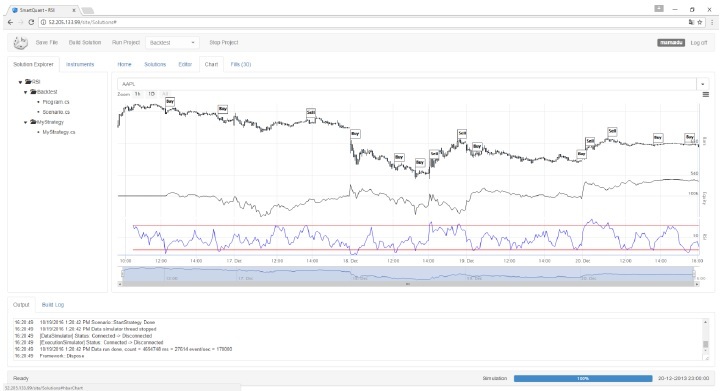 QuantWeb is a complete SmartQuant high frequency algo-trading infrastructure running on a cloud server with web browser front-end and serving multiple users. Such enterprise-wide setup can be deployed on your company cloud, in-house or co-located server. It can also be used in educational and social trading projects. 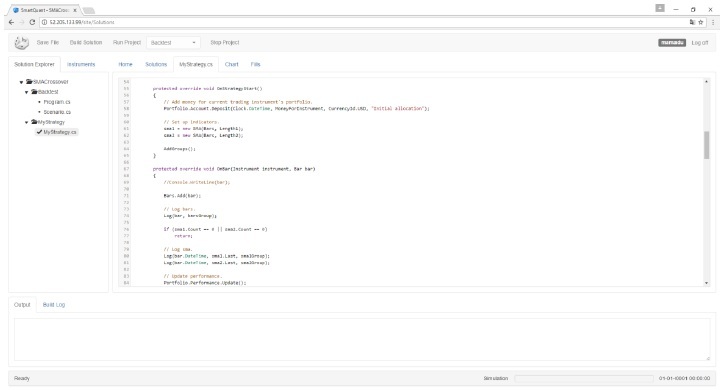 Develop a trading startegy in your web browser in C# or Python, then build, backtest or trade it live on a cloud or co-located server and monitor strategy execution in the browser window. Register and get a free QuantWeb demo account. What is the main difference between QuantWeb and other projects that allow to develop algo trading strategies in your web browser? 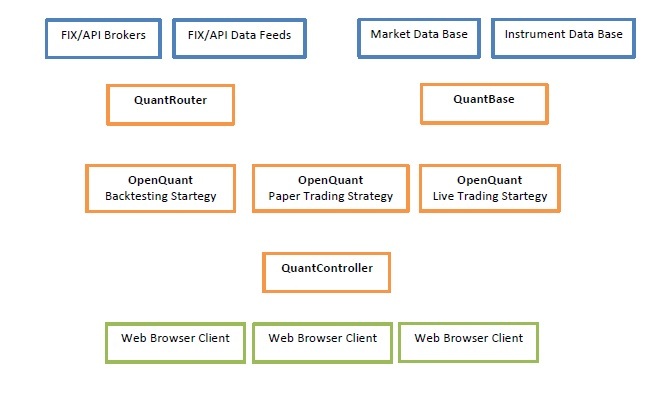 QuantWeb runs on top of SmartQuant institutional framework and products, which take into account every aspect of HFT (high frequency trading), including Level2 and order book backtesting, pluggable execution simulators, FIX messaging, smart order routing, sell side execution algorithms and many other features. Once you develop a trading strategy with QuantWeb, you can run it in-house with SmartQuant desktop products. then build, backtest or trade it live on a cloud server and monitor results in the browser window.